a) How do you know this therapy works? b) What evidence is there to decide which types of illnesses or health issues this therapy works on? c) Is there any research to support this practice? d) Are the effects of Healing Touch therapy similar to other forms of energy work? e) What is the experience of people who get this therapy? f) What theories support research into this work? The conduct (and reading) of research studies, helps answer these questions and more. The importance of recognizing and supporting research was recognized by the Healing Touch Program in 1997 when it established a position of Director of Research, first held by Cynthia Hutchison (1995-2000), who is HTP’s current Program Director. Healing Touch Program continues to support research through affiliations with a number of different institutions (e.g. The Watson Caring Science Institute, International Society for the Study of Subtle Energy and Energy Medicine, The Samueli Institute) and with individual researchers. Healing Touch Program continues to act as a consultant for those wishing to conduct or participate in research through these affiliations. The advancement of computerized journal search engines to find research has made finding reputable studies relatively simple. Theory and research are foundational blocks for practice. Theories drive research and research drives theory. A simple way of explaining this is to say that theory and research are interdependent—they rely on each other. Theories are descriptions of interrelated concepts and are driven by belief systems or philosophies. Theories can form the foundations of practice and give a more solid foundation to the development and testing of practices that are reflective of the theory concepts. For example: The Theory of Human Caring involves the concept of intentionality or heart centered practice. Research might look at a description of living a heart-centered practice OR might look at whether being heart-centered (or intentional) really makes a difference in the outcome of the therapy. Theory (or theories) are tested and supported by research. Healing Touch practices are congruent with theories based in humanistic, heart-centered philosophies such as those of many nurse theorists (Watson, Newman, Rogers, Nightingale, among others) and other religious and social science philosophies. These theories support the openness of inquiry that embraces many types of research (Quinn, Smith, Ritenbaugh, Swanson & Watson, 2003). As a level 1 student, you may or may not need to look to the research to practice Healing Touch. It is likely however that an opportunity will present itself when you will have some need to know about research. This section will look at some basic issues that will improve your research knowledge. There are basically two general kinds of research methods that are done—quantitative and qualitative. Quantitative studies are the types of studies that tend to look for statistical evidence that a treatment impacts on a specific condition. In the scientific community, the randomized clinical trials, meta-analyses and systematic reviews are considered to be the best forms or “gold standard” of evidence. These types of studies require control of variables, large numbers of participants or exposures to the treatment and complex statistical methods to be worthy of review. These types of studies are open to a great deal of scrutiny to determine if controls and/or conditions are met. Numerous authors have outlined the difficulties of enacting these controls given the variable nature of giving and receiving energy based therapies (see references). Qualitative studies, on the other hand, generally strive to elicit descriptions of experience, meanings of experience or the processes of experience. They are not used to determine effectiveness of interventions but rather to look for themes of experience or meaning or relationships that add to the richness or interrelatedness of concepts in the experience. These types of studies do not require large samples and don’t control for variables in thesame way as quantitative studies. They do follow clearly outlined processes however, so that they may be repeated by someone else (auditability). Qualitative studies help elicit themes that cannot be measured with numbers, such as spirituality, caring, hope, loss of time, etc. Mixed methods studies are becoming increasingly popular in current literature. They tend to look at the combination of experience and controlled variables to find more comprehensive conclusions and to look for inconsistencies between measured outcomes and participants’ descriptions of their experience. It is important to know that a great deal of research is being done involving Healing Touch therapies and other healing modalities. Whole journals are devoted to reporting of research so the body of knowledge is continually growing. Many studies in Healing Touch modalities have been funded by internationally recognized funding bodies such as the National Institute of Health (go to http://clinicaltrials.gov and type biofiled in the right upper hand corner “Search for Studies” box) and special interest groups. Published and unpublished studies and pilot studies have been conducted looking at the impact of HT therapies on many disease conditions and symptoms such as cancer, heart disease, palliative (Hospice) care, elder care, immunological and endocrine conditions (HIV and diabetes), headaches, postoperative wounds, pediatric conditions, alcoholism, premenopausal syndrome and dementia. Symptoms explored have included but are not limited to pain, fatigue, depression, anxiety, agitation, stress and nausea. These studies have explored the work across the life span and in men and women. To list all the studies that have been conducted in Healing Touch would take pages! A disciplined consumer of research would view that list with a very discerning eye and ask many of the questions outlined above looking for what is considered the best evidence to support HT practice. Following are three good examples of Healing Touch research that support the work and would meet most of the criteria noted above. It must be emphasized that these are not the only studies that meet these criteria and that there is an increasing body of well conducted studies. Lutgendorf, S.K., Mullen-Houser, E., Russell, D., DeGeest, K., Jacobson, G., Hart, L., Bender, D., Anderson, B., Buekers, T.E., Goodheart, M.J., Antoni, M.H., Sood, A.K. & Lubaroff, D.M. (2010). Preservation of immune function in cervical cancer patients during chemoradiation using a novel integrative approach. Brain, Behavior and Immunity, 24 (8), 1231-1240. Van Aken, R. & Taylor, B. (2010) Emerging from depression: The experiential process of Healing Touch explored through grounded theory and case study. Complementary Therapies in Clinical Practice, 16, 132-137. This study aimed to explore and analyze the process of receiving Healing Touch (HT) for people with depression using a grounded theory and case study approach. The grounded theory analysis uncovered 3 things: 1) the basic psychosocial problem 2) the stages of the process of emergence from depression and 3) the strategies used within that process. From this analysis a middle range theory was developed that described the process for people with depression receiving HT in four stages: 1) belief in practitioner, self and future self, 2) integrating all aspects of self, 3) accessing inner strength and resources and 4) engaging with life. Wilkinson, D.S., Knox, P.L., Chatman, J.E., Johnson, T.L. et al. (2002). The clinical effectiveness of Healing Touch. The Journal of Alternative and Complementary Medicine. 8(1), 33-47. The researchers in this mixed methods design wanted to explore whether HT enhanced health. To determine enhanced health, they recorded salivary secreted immunoglobulin A (sIgA), a protein in the body thought to be related to health enhancement before and after treatment, self report levels of stress, perceptions of health enhancement and administered qualitative questionnaires. Their sample consisted of 22 clients who had never experienced HT. All of the participants experienced 3 types of conditions: no treatment, HT alone, and HT plus music and guided imagery over a period of two weeks. Statistically significant results and the review of the qualitative data support that HT enhances health through raising sIgA concentrations, lowering perceptions of stress and relieving pain. The researchers suggest that the result is not the result of placebo alone. Whether you are an experienced researcher or a novice in the language of research, your best resource for finding reputable research studies involving HT is to go to the Healing Touch Research website www.healingtouchresearch.com to access direct links to some of the best research articles, abstracts on some of the current research and information on how to access Powerpoint summaries of the research in areas of interest (cancer, dementia, pain, stress, etc). The Research Advisory Council members are also available to you for help on accessing information. 1. Is the study published in a reputable, peer reviewed journal? Many reputable studies have been done as part of graduate studies but have not been published. Peer reviewed, published studies generally carry more weight in the science community. 2. If the study is quantitative, are the authors making claims that they have proven the effectiveness of the therapy? This would not be desired. Few reputable researchers would ever say that their research “proves” anything. At best they are hoping to find results that suggest that the effect was not due to chance alone (statistical significance such as p-value or better yet, effect size). 3. Does the discussion section of the paper explain why statistical significance was not achieved (if it wasn’t)? A good research paper does not always have to find statistical significance. The desired results may not have occurred because of the aforementioned method and/or sample issues e.g. not enough participants (small sample size), poor control of variables, poor bias control, treatment not given appropriately etc. 4. If the study is qualitative, have the authors been true to their method of research? Would you be able to understand exactly how they conducted the study? 5. If you are still stuck, do you know who to contact? 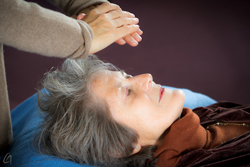 Healing Touch is one of many biofield based modalities that is being increasingly studied. Many science disciplines are turning to the study of subtle energies in their quest to understand the phenomena of energy based therapies. 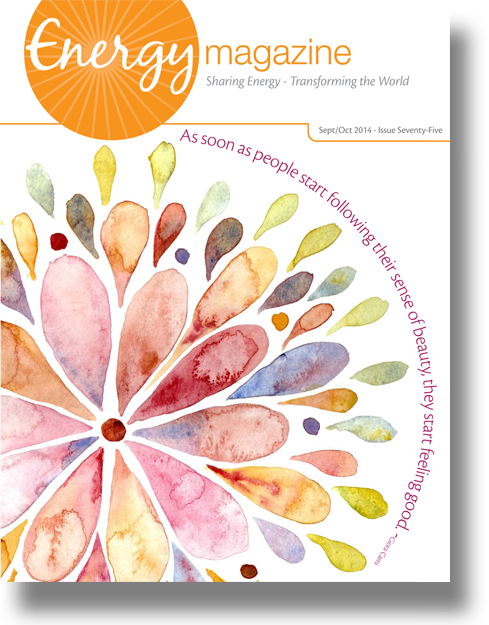 One can look to new literature within almost every discipline to find the shifting openness to the belief in subtle energies and its impact on our lives (Jain & Mills, 2010; Anderson & Taylor, 2011). The science of physics and psychoneuroimmunology are publishing increasingly sophisticated theories and research about energy. Knowledge in these areas is ever expanding and beyond the scope of explanation in this level of the Program. (See the recommended book list for other sources of support.) This article has introduced you to the purpose and types of research, the links between theory and research, considerations in being a good consumer of Healing Touch research, topics in HT research and how to access research for your own use. One need not become an expert in research to be an effective practitioner of Healing Touch modalities, but having knowledge of what to look for in research and how to access and understand it can assist you in your practice. This knowledge will help you explain “the work” to others whether you are practicing with your family or hoping to bring this work into a more conventional environment such as a health care facility, academic institution or business. Resources are available to you through Healing Touch Program should you need more assistance in accessing or understanding the research that is available. Ai, A.L., Peterson, C., Gillespie, B., Bolling, S.F., et al. (2001). Designing clinical trials on energy healing: Ancient art encounters medical science. Alternative Therapies in Health and Medicine, 7(4), 83-90. Anderson, J. G. & Taylor, A. G. (2011). Effects of Healing Touch in Clinical Practice: A Systematic Review of Randomized Clinical Trials. Journal of Holistic Nursing, 29: 221-228. Engebretson, J. & Wardell, D. (2007). Energy-based modalities. Nursing Clinics of North America, 42, 243-259. Hawk, C., Long, C.R., Reiter, R., Davis, C.S. et al. (2002). Issues in planning a placebo-controlled trial of manual methods: Results of a pilot study. The Journal of Alternative and Complementary Medicine, 8(1), 21-32. Hintz, K.J., Yount, G.L. Kadar, Schwartz, G. et al. Bioenergy definitions and research guidelines. Alternative Therapies in Health and Medicine, 9(1), 13-30. Jain, S. & Mills, P. (2010). Biofield Therapies: Helpful or Full of Hype? A Best Evidence Synthesis. International Journal of Behavioral Medicine, 17 (1), 1-16. Jonas, W.B., & Chez, R.A., (2003). The role and importance of definitions and standards in healing research. Alternative Therapies in Health and Medicine, 9(3), A5-A9. Lutgendorf, S.K., Mullen-Houser, E., Russell, D., DeGeest, K., Jacobson, G., Hart, L., Bender, D., Anderson, B., Buekers, T.E., Good heart, M.J., Antoni, M.H., Sood, A.K. & Lubaroff, D.M. (2010). Preservation of immune function in cervical cancer patients during chemoradiation using a novel integrative approach. Brain, Behavior and Immunity, 24 (8), 1231-1240. Quinn, J., Smith, M., Ritenbaugh, C., Swanson, K. & Watson, M. J. (2003). Research guidelines for assessing the impact of the healing relationship in clinical nursing. Alternative Therapies, 9 (3), A65-A79. Riley, D. & Berman, B., (2002). Complementary and alternative medicine in outcomes research. Alternative Therapies in Health and Medicine, 8(2), 36-37. Warber, S.L., Gordon, A., Gillespie, B.W., Olson, M., et al. (2003). Standards for conducting clinical biofield energy healing research. Alternative Therapies in Health and Medicine, 9(3), A54-A64. Contents is Copyright © 1998 - 2018 by Healing Touch Program All Rights Reserved.